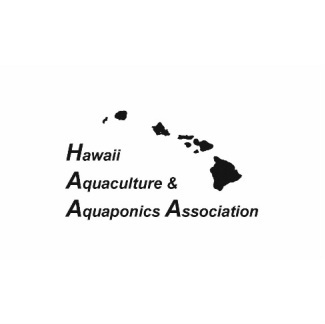 The Hawaii Aquaculture and Aquaponics Association invites you to attend its 2017 all-day conference, to be held at Ka‘ikena Restaurant on the Kapiolani Community College campus on February 24th, 2017 from 7:45 AM to 5:15 PM, and followed by a reception at the same venue. The program for the conference (subject to change) is attached. "Impacts of The Food Safety Modernization Act Produce Safety Rule on Aquaponics Producers"
Since 2011, Gretchen has been the coordinator for the Produce Safety Alliance (PSA), a cooperative agreement between the USDA, FDA, and Cornell University. The PSA is focused on developing a science-based, on-farm food safety education and training program for fresh fruit and vegetable farmers and regulatory personnel. This curriculum will help prepare farmers to meet the first ever produce safety regulation promulgated by the FDA as part of the Food Safety Modernization Act (FSMA) and will aid in providing a consistent food safety message to growers, educators, regulatory personnel, and the produce industry. Gretchen is also an active member of the National Good Agricultural Practices Program team and assists in workshop development, delivery, and outreach efforts for on-farm food safety to fruit and vegetable farmers in New York. Gretchen received her Master of Science degree in the Interdisciplinary Food Science/Food Safety Program at Colorado State University and her Bachelor of Science degree in Food Science from Pennsylvania State University. Registration and tickets are available for advance purchase at Eventbrite.com. Prices will increase on February 17th, so we urge you to register early to take advantage of the early-bird registration discounts. There will be no ticket sales at the door. To take advantage of the HAAA membership discounts, don't forget to renew your membership for 2017! And if you're not a member, please consider joining our organization. Promote networking among stakeholders of the industry. Whether you are a producer; a supplier of critical inputs or services like feed, equipment, and transportation; a marketing concern; a research organization; or an organization or individual committed to creating a sustainable future for Hawaii, we are confident that you will benefit from the information and networking opportunities offered at the conference. Support HAAA when you're shopping on Amazon by using our smile account. A small portion of your purchases will be donated by Amazon to help keep HAAA running. To support us, please go to http://smile.amazon.com and type in HAAA and select us as your charity. Mahalo!